GULFPORT, MS (WLOX) - There was plenty worth celebrating about the expansion of the Port of Gulfport Saturday. One of the biggest announcements from the celebration was when Gov. Phil Bryant got behind the podium to update the audience on the number of jobs the port is required to fill. One hundred more people than planned will be employed as a result of the port’s opening and expansion. “We are extremely pleased to be able to not only meet, but to exceed that goal,” said Port Executive Director and CEO Jonathan Daniels. That 1,400 does not include the jobs longshoremen and the truck drivers will have either. Daniels said that many more jobs will be created down the line. As part of the renovation, the port was elevated 14 feet to protect from future storm surge, but Bryant seemed pleased to let everyone know that part of the port will actually be going down 50 feet. "We are going to deepen this port," Bryant said from behind the podium. A day before the port celebration, Sen. Cindy Hyde-Smith, Sen. Roger Wicker and Congressman Steven Palazzo approved another $4 million to dredge the port from 36 feet to 50 feet. "The most important thing that we can do right now is get it to 50 feet," Bryant said. "That's brings in the larger, bigger ships from all over the world we're going to get there. That's the next step." Since taking office, the governor said he has worked for years to turn the port in to a place that puts the Mississippi Gulf Coast on the map. “This one of the most exciting days I’ve had as being governor,” he siad. Bryant said he has also been meeting with people all around the world to convince them to become tenants at the port. 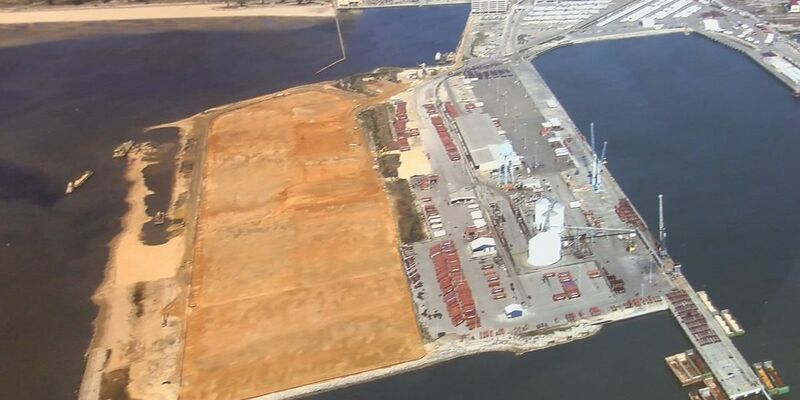 There are also plans to create a ocean enterprise facility at the port.